Home » Exchanges » Changelly In-Depth Review: Is It A Credible Alternative To ShapeShift? We have plenty of options when it comes to purchasing Bitcoin. On the other hand we have very limited options when we want to get ahold of other cryptocurrencies (altcoins) like LTC , ETH/ETC, Monero, XRP, or any other altcoin. The recent altcoin boom has brought in many new cryptocurrency traders and many people are looking for fast, cost effective ways to purchase altcoins. 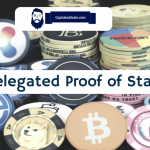 However, due to a slow development process, we often face the challenge of purchasing those cryptocurrencies. The fastest and most cost effective way to get ahold of most of altcoins is by using a cryptocurrency exchange website. When it comes to exchanging cryptocurrencies, you have probably already heard of Changelly in various forums. I personally have used ShapeShift in the past to exchange BTC into ETH and couple of other currencies. However, a few days back I got to know about Changelly exchange platform. Is Changelly a scam or is it legit? Can Changelly be trusted with my money? Will I get support if something goes wrong? I started researching about Changelly and I got some rave reviews about this exchange platform. I decided to give Changelly a shot after a few hours of research. Some users even claim that Changelly is a better and more reliable alternative than ShapeShift. This review of Changelly is based on my personal experience. Also, I will give you all the important information you need before you start using Changelly. Which one is better – Shapeshift or Changelly? Read our full review of Shapeshift here. Changelly Review: Can This Cryptocurrency Exchange Site Be Trusted? Conclusion: Is Changelly a Legitimate Site? Changelly is a trustable site that can be used to exchange between various cryptocurrencies. Changelly was founded in 2013 in Prague, Czech Republic, by the same guys who established MinerGate, one of the largest mining pools that exist today, so it’s a reliable company. Within a year Changelly has managed to attract over 100,000 users, which is really impressive. Changelly reached the 1,000,000 users milestone in April 2017, which shows how popular this cryptocurrency exchange website is becoming in such a short span of time. Changelly indeed has a very sleek and intuitive interface, and there are some pretty cool features that made me convinced that this is the #1 site for exchanging cryptos. The website is quite informative with its diagrams and graphs. They explain how the exchange process works and provides more information into how to trade currencies. Changelly currently offers over 35 currencies that can be traded on the platform, including: Bitcoin (BTC), Litecoin (LTC), Monero (XMR), MaidsafeCoin, Basic Attention Token (BAT), Nubits (NBT), Ripple (XRP), Guppy (GUP), Syscoin, Wings (DAO WINGS), Darcrus (DAR), PIVX, Edgeless (EDG), Dogecoin (DOGE,) Chronobank (TIME), Melon (MLN), DIGIX, Tether (USDT), Swarm City (SWT), Zcash (ZEC), GameCredits (GAME), Stratis (STRAT), Gulden (NLG), Expanse (EXP), Steem (STEEM), Synereo (AMP), Lisk (LSK), Radium (RADS), Factom (FCT), Dash (DASH), Next (NXT), Monero (XMR), QuazarCoin (QCN), Ethereum (ETH), Ethereum Classic (ETH), DigitalNote (XDN), Fantomcoin (FCN), Bytecoin (BCN), and more. The exchange doesn’t accept any fiat currencies, and it is exclusively available for transferring funds between cryptocurrencies and digital currencies. The other unique feature of Changelly is its flat rate fee structure: the company always charges a fee of 0.5%. That’s it – no withdrawal fees or additional commissions, no exceptions, bulk discounts, or minimum purchase amounts. One more thing that sets Changelly apart from other services is that it aggregates rates from other trading platforms across the internet, and then suggests the best rate based on that information. Thanks to this feature, traders can get the best rates on their cryptocurrencies whether they’re selling or buying. The idea is very simple. Changelly’s bot makes a bid and finds any appropriate exchanges that can complete your exchange. For example, let’s says you want to trade LTC into DOGE. Then the bot will make a bid to find someone who would like to trade DOGE for LTC. After that, the platform asks you to send the LTC to a specific wallet and completes the exchange. The same for the second person involved. 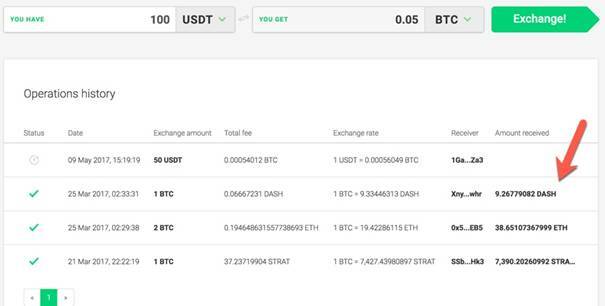 In the example given on the Changelly website, 15 LTC is worth 0.17 BTC. 0.17 BTC is worth 396,000 DOGE. Changelly charges a fee of 0.5%, which is around 1980 DOGE. After that, it sends a total of 394,020 DOGE to the receiving wallet. Overall, the goal of Changelly is to eliminate technical barriers between the world of cryptocurrency and customers. A 0.5% fee is higher than other exchanges. However, Changelly users may still come out ahead due to the ability to get the best rate on all trades and the lack of additional fees. Trustworthy – Changelly was created by the developers of MinerGate, one of the largest mining pools today and therefore it’s pretty reliable as an exchange. This platform is also used by Charlie Shrem, the Vice Chairman and founding member of the Bitcoin Foundation. This means that it’s legit. Quick – Your exchange is usually processed and converted within 5-30 minutes, and all that you need to do is to enter the amount and address, and then transfer your coins. That’s it, the transaction is completed. It is important to note that larger-value transactions (over 1 BTC) may take longer depending on the capacity of the blockchain and the size of your transaction. 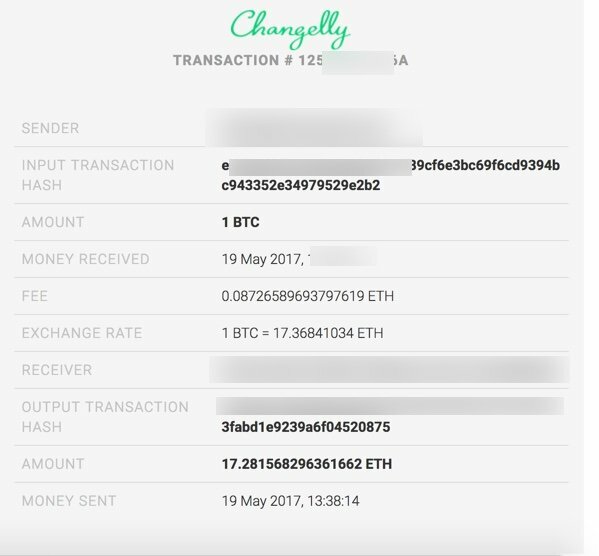 Fair Fees – Changelly charges a commission fee of 0.5% per trade. There are no additional commissions, and no charges for withdrawal. This is a simpler fee structure than most other exchanges. Convert At The Best Rate – Changelly scans exchanges across the internet to finds the best rate, and then lets you trade at that rate. There’s No Wallet Service Attached – Changelly doesn’t hold currency for traders. There’s no wallet service attached to Changelly, but instead, you use the wallet of whatever coin you wish to purchase. Personally, I love the account history feature because you can simply log in to your account anytime and see the status of your current and past exchanged cryptocurrency. You need to be careful when connecting your bank account to exchange any currency for Euros (EUR) or US Dollars (USD) because the minimum deposits depend on the region that you visit the page from. Firstly, there’s a $50 limit on the first transaction for users from the US, Canada and Australia. The second transactions can only be done 4 days after the first transactions. The second transaction has a limit of $100. The limit is $500 after 7 days of the first buy. There is no monthly limit. The first buy limit is $100 for the EU and other countries. The next purchase can be made in 4 days after the first transaction. The maximum for that purchase would be $200. The following purchase can be done after 7 days and has a maximum limit of $500, and there are no monthly limits for EU and other countries either. There is a $200 limit for the first transaction for users from the CIS region. The next limit increase could be done in 24 hours, and the total limit for the first week is $2000. The total limit for the first month is $10000. Exchange fees are only 0.5%, which is relatively insignificant considering you exchange small amounts of coins. Whereas if you need to exchange large numbers, you’ll face a higher fee. The fee increases as the amount increases. Changelly had great security standards. The platform offers many services that will ensure that your online transactions are genuine. Firstly, in order to perform your trade, Changelly is built on some of the most reliable exchange platforms. Secondly, all transactions have a unique reference number so you can track in real time where your coins are. Also, a two-factor authentication can be used. It is like giving your bank your phone number so that when you do a transaction online, it generates a code which is sent to your mobile phone in order to verify it’s you. You enter this code and the transaction is immediately verified, which prevents most hacking and fraud in the cryptocurrency world. Changelly has had press on many big media such as CoinTelegraph and Forbes since it’s a project by Minergate, a bitcoin mining pool. In addition to the Changelly exchange site, Changelly offers an API for merchants and widgets for publishers. API For Merchants – Changelly has an API for merchants. It’s called the “Smart Payin” API and it’s designed to exchange digital currencies directly. 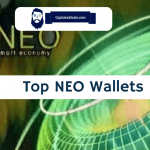 Merchants like entertainment sites or gambling websites can provide digital crypto wallets that accept any coin as payment. After that, they can immediately convert those coins into the payment of their choice. For example, if a merchant wants to accept BTC, then this API can accept customer funds in a cryptocurrency like DOGE and instantly transfer it into BTC. Widgets For Publishers – Changelly has made a series of software widgets catered to third parties, which can be integrated into their websites and allow users to exchange one crypto to another from the page without leaving. Market analysts, news publishers and bloggers are some of the possible users for these widgets. Head over to the Changelly homepage and choose the currency you want to exchange. Enter the exchange amount and click on Exchange! You’ll see the exchange rate on the next page. Important Note: If you were asked to make an account, you definitely should make it. On the next page, you will be asked to enter the wallet address where you want to receive the transferred cryptocurrency. We’re entering an XRP wallet address in this case (you can get this address by using Gatehub or Ledger Nano S.
Changelly will show you all the details before it gives you a deposit address. Don’t rush. Review all the information one more time. 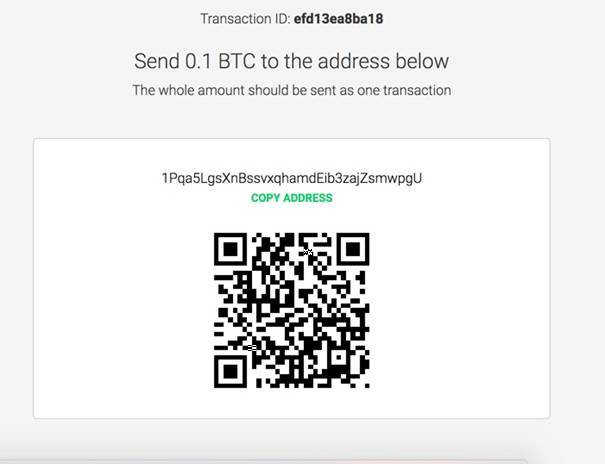 Here you will see the wallet address on which the cryptocurrency needs to be deposited (it’s 0.1 BTC in this case). Once you have deposited the funds, it could take a couple of minutes to an hour to complete the exchange, and once the exchange is over, you will receive an email letting you know the transfer happened. Note: I have used the site 5 times. Each time the exchange happened within 10 minutes. This receipt can be checked again at any time from your Changelly dashboard. Changelly is not only a legit site, it’s a tool that allows you to maximize the value of your cryptocurrency trades. They keep adding support for all of the reliable cryptocurrencies. Also, their support system (in case there’s a problem) is very good. In short, Changelly is a unique trading service that helps you get the best rates on popular cryptocurrencies and lesser known altcoins, and it will save you a lot of time when you need to quickly get ahold of any popular cryptocurrency. Hi, I do not see XRP in the Changelly drop-down menu. Are they not dealing with XRP anymore? If so, are there other applications that you would suggest to buy cryptocurrencies with debit/credit? Changelly is a TOTAL SCAM!!!! Please do not use !!!! I sent $400 worth of BTC for Ripple and all I got back was a message that my receipt of the Ripple coin has failed “Sorry” Meanwhile my BTC went through with no troubles…. Someone got my BTC and not I have no recourse and am out my Bitcoin!!! SCAMMERS I hope someone gets mad enough to take action!!!!! If you got ANYTHING out of an attempted transaction feel lucky!!!! 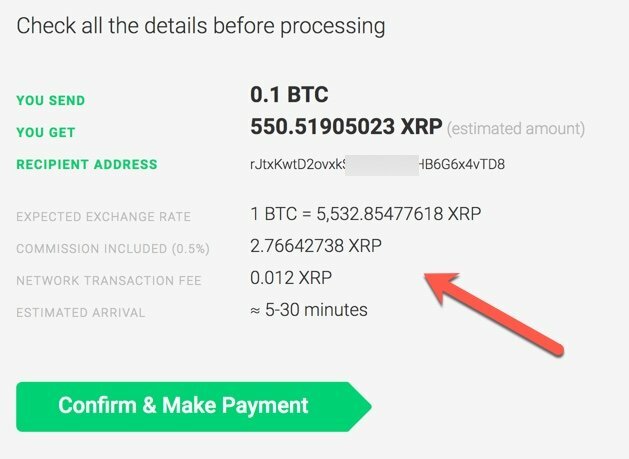 Changelly why did I not receive the Ripple coin in TRANSACTION # E3186CB608BE???? Someone took my Bitcoin but I never received my Ripple coin. I did receive a nice “Sorry” but SORRY That wont cut it. I want either my Ripple Coin or my BTC back!! changelly is top notch. you obviously did something wrong.